Now that the time has come and passed, it is important to revisit those resolutions you made for the upcoming year. Maybe some of them can be placed on the “wishful thinking” list, others can be placed on the “this is really the time for its list” and others will get slowly or instantly transferred to the “what was I thinking?” list. Whatever the lists are and what items you shuffle around, you are certainly aware that you need to take the most important to you and apply them in real life. And doing sports is one of those things you just have to start doing. 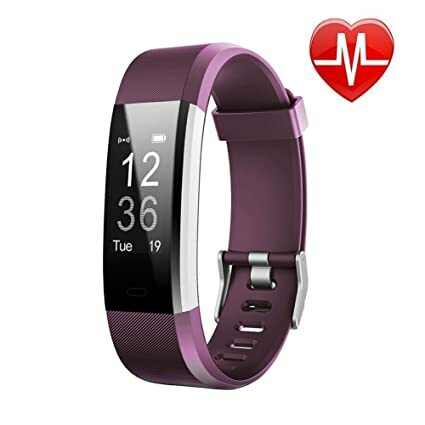 To save the time of researching what is the best fitness tracker for you and to help you immediately start achieving your training goals, we put together a list of reviews for the best fitness trackers found on Amazon. If you are not really sure if a fitness tracker is what you need and do not want to invest a lot of money to see if it is the gadget for you, the fitness tracker from Teslasz might be the fit for you. Although not the best fitness trackers there is, it is the best in its price range. With less than 20 dollars, it has a very high precision for steps and distance measurement. It has a long battery life while providing features like calories counter, sleep monitor, alarm alert and call reminder that allows you to check incoming calls without taking your phone out. It is a comfortable smartwatch that due to its features and low price made its way up into the best sellers list of best fitness trackers on Amazon. It does the usual activity tracking, such as recording steps, distance, calorie burning, sleep monitoring, and real-time heart rate. It also does its job as a smartwatch and notifies the user of alerts from WhatsApp, Facebook, Twitter and other social media. Its most talked about feature is that the smart bracelet controls the remote camera shooting. While it certainly isn’t the best fitness tracker out there, and it doesn’t excel, it provides decent quality for its price. This fitness tracker is for the more serious athlete. Being a chest strap, it provides a very accurate measurement of your heart rate when exercising, allowing you to customize your exercising to have best results taking advantage of your cardio. Some issues where raised about its syncing to phones, but if using the Polar Bear app it syncs very well via Bluetooth. 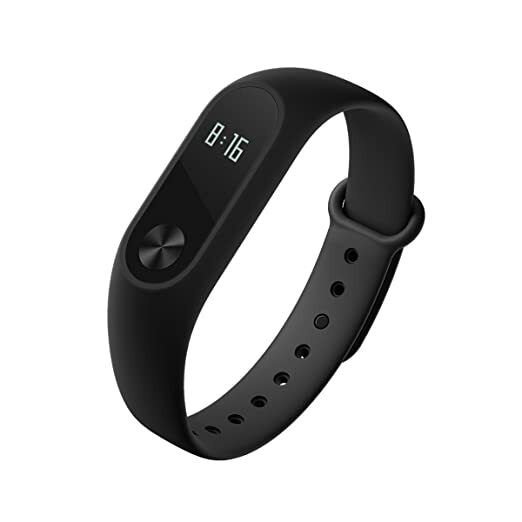 Xiaomi Mi Band Smart wristband is elegant, very cheap and a very good tracker within its price range. It weighs so little that it is really convenient choice for the more relaxed occasional and fashionable athletes. It keeps things simple and successfully tracks steps, sleep data, calories and also makes daily weekly and monthly graphs. It tends not to be extra accurate when counting steps and it isn’t really a good heart rate tracker while exercising (although HRM works fine for resting rates) but it really is a good and easy to use tracker among its competitors. This wearable has been around on the market for some time now. The feature that made the difference for this tracker is the high-precision altimeter which means it can track how many stairs you climb. This is very valuable for those that want to rather track their daily activity level. It is small and unobtrusive, it connects through Bluetooth to your phone or computer and accurately counts steps, distance traveled, calories burned, stairs climbed, hours slept and sleep quality. This tracker reminds you to stay active during the day by displaying a red move bar and sounding an alert after one hour of inactivity that is reset after a few steps taken or after a most serious exercise. It has a long-term battery and keeps track of all the usual: steps, distance, calories, sleep and so on. A feature that differentiates it from other best fitness trackers is that it automatically sets your daily goals based on your recent activity and your goal target is displayed as a countdown during the day. The successor for the original Fitbit Charge HR, Fitbit Charge 2 keeps the traditional features and brings more to the table, like guided breathing, a bigger screen and Cardio Fitness Level that provides tracking with keeping VO2 Max in mind. The number one selling pedometer on Amazon, the fitness watch from Fitbit is a great device for beginners. With its 1.25-inch 16 color touchscreen display, it tracks steps, stairs climbed, heart rate, calories burned and sleep quality. It does not have a GPS function, but you can use Fitbit’s Connected GPS feature if you are willing to also take your smartphone with you while exercising. As it can be expected, Fitbit offers the most sought-after fitness tracking device. Fitbit Alta makes quite an entrance with its sleek design. While making the tracker more stylish and fashionable than its predecessors and providing a wide range of colored straps, Fitbit did not make compromises on the functionality side. Using a three-axis accelerometer and with a battery life that lasts up to 5 days, Alta brings the core features of fitness tracking. You can rely on it to automatically track steps, distance, sleep, and calories burned. It is difficult to say what the best fitness trackers out there are. Objectively at least. We gave you a clue of what the best options are so you can know what to go for when shopping on Amazon for that perfect tracker. But it is important to keep in mind that it all depends on your personal choices and you should first think about what exactly it is you are looking for. After you decide what your price range is, if you want to rather have a good heart rate tracker or a step counter, if you want to understand your progress or you are looking for the incentive to get you going, then you can choose whatever it is best for you. We kept things objective (if someone can do that) and selected the best fitness tracker for you to choose from. And yes, in our opinion (and we are not the only ones) if you are serious about tracking your exercising, you should think about going for a Fitbit product, whether you desire a smartwatch and you go for the Blaze or you want to go for the most stylish one like the Alta. Nutritional Supplements: Add Extra Benefits in Your Health?